I’m taking a cue from Emily P. Freeman and sharing what I learned over the last season. 1. I am AMAZING when I’m able to sleep. By August he’d gone back to his old shenanigans of sleeping through about 0% of the nights, and I hate everyone and everything. It’s a struggle to keep everyone fed and clothed. It makes me wonder how much more I would accomplish in life if I was consistently able to sleep at night. We may never know. 2. 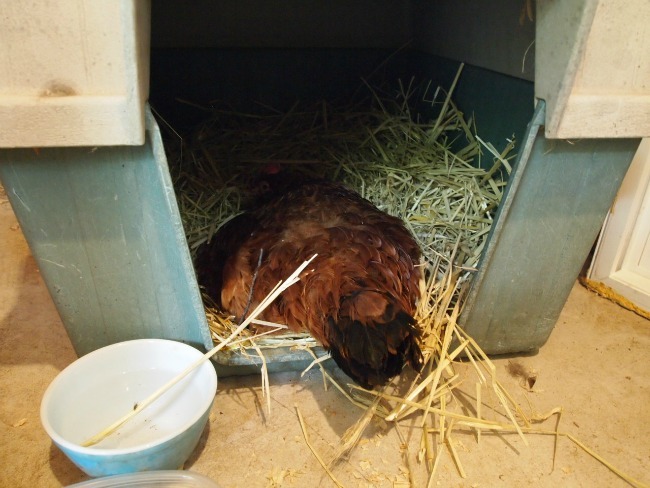 All about broody hens and hatching chicks. 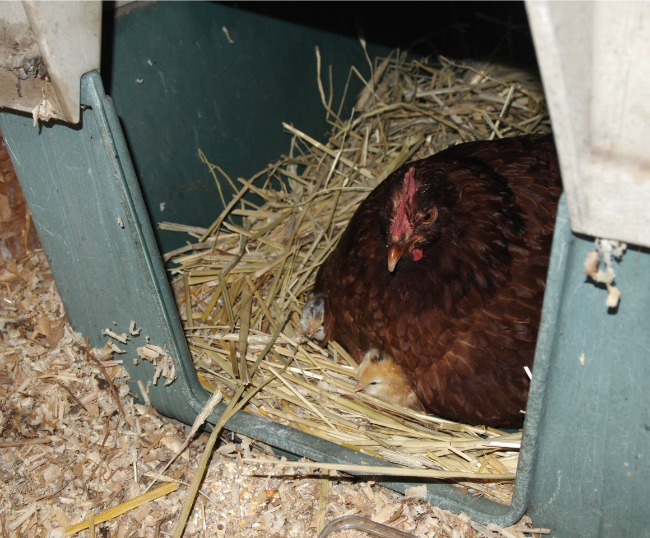 In late May we noticed that one of our four laying hens wouldn’t leave her nest. We were worried she was sick. But when we went to take a look at her, she growled and pecked at us. 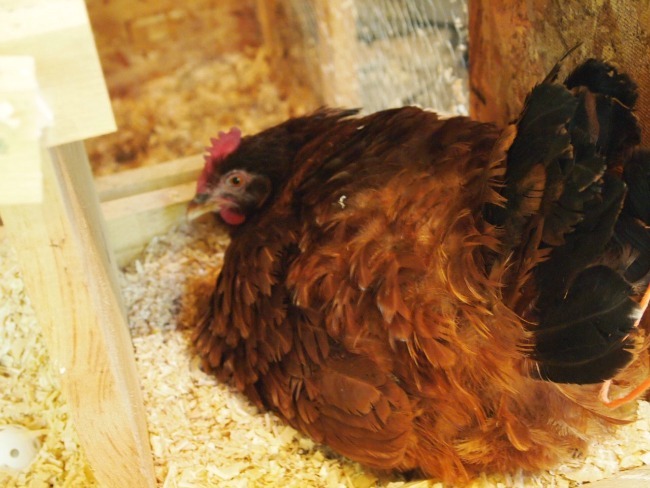 Since I grew up around chickens, I was pretty sure I knew what was going on: we had our first broody hen. Since we don’t have any roosters in our flock, our girl was unfortunately wasting her time with infertile eggs. We could have tried to “break” her of her broodiness, but we decided to try to set her up with some fertile eggs and see if she could hatch some. She sat there for 22 days, only leaving her nest once a day to eat, drink, and take a quick dust bath. It was a wonderful experience. It has been so fun watching our hen turn into a mama, protectively guiding her chicks all over the run, showing them where to find food. It’s been a treat! 3. I guess I prefer loose and flowy clothes now? But this year I got money from both sets of parents for my birthday, and I decided to go on a shopping trip for clothes — my old jeans and shirts were all several years old, and looked worn out. And I came back with soft pants and loose, flowy tops. Florals and neutrals and deep reds. (Still lots of stripes). Wait, when did that happen? I wondered. 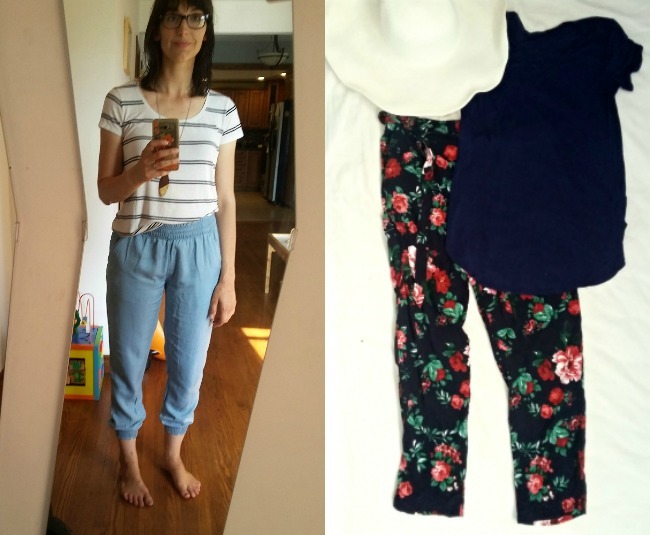 I hadn’t made a conscious decision to recreate my wardrobe. These were just the things that felt “me” right now. 4. That Mary Shelley’s Frankenstein is considered the first science fiction novel. I read and studied this book three times during my undergraduate in literature, and I don’t think anyone ever told me this tidbit. It took watching this short history of sci-fi to realize it. I was a bit embarrassed to realize I hadn’t known this fact, as I consider myself a fan of sci-fi and fantasy literature. I decided I needed to brush up on my sci-fi history, and watched this whole fascinating series. 5. 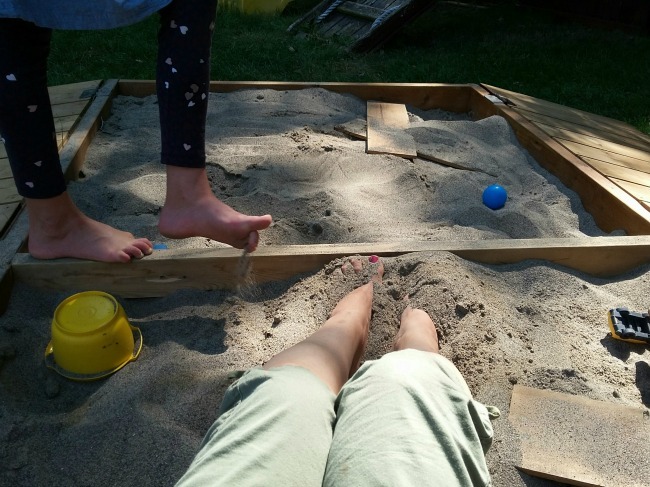 A backyard sandbox is a pretty zen place even for an adult. We recently designed and built a sandbox in the back yard for Felix, who looooves the sensory experience of sand. We’ve been spending a lot more time in our back yard as a family as a result. And you know what? Sitting in and playing with sand is actually quite soothing, even for me. It’s very grounding. Just digging and raking around the sand absent-mindedly is a great way to unwind at the end of a busy day. I highly recommend it. 6. What a Snoezelen Room is. 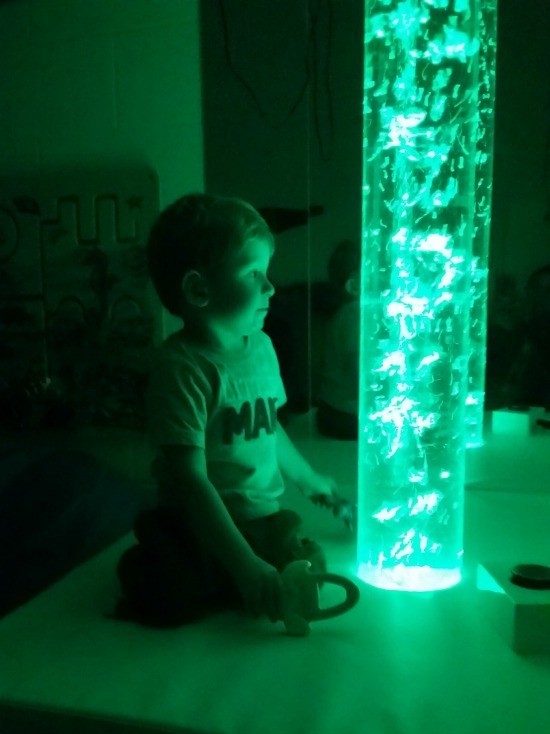 The children’s center Felix attends for therapy recently added a Snoezelen room, and his OT has taken him in there for a few sessions. I’d never heard of one before, so in addition to experiencing it firsthand, I did some research online. It’s pretty great, and Felix adores it. 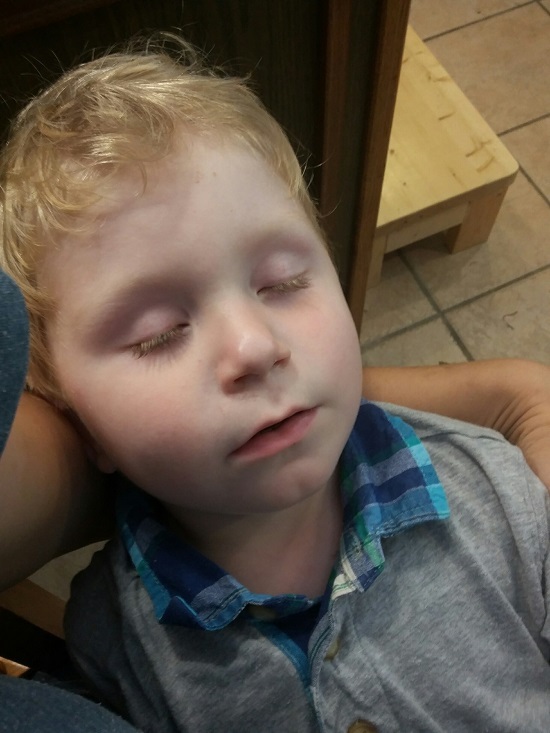 It’s pronounced “snooze-lin” (it was developed in the Netherlands), and it’s a controlled multisensory environment for people with autism and other developmental disabilities. Its use is meant to be self-directed, and is used both to stimulate and soothe, using lighting effects, color, sounds, music, scents, etc. From my experience, they’re generally padded and darkened, with different sources of soothing lights, music, and other sensory tools. 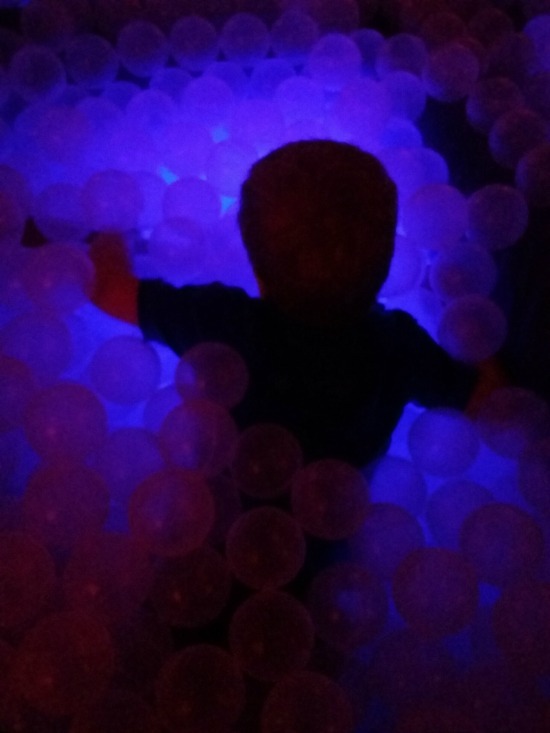 The room Felix enjoys has a ball pit filled with transparent balls and glowing lights; a sensory board; a tall bubble tube; and fiber optic lights. There are vibrating pads to lay on, and you can turn on classical music and calming projector scenes. He absolutely loves it. I’m considering recreating a similar environment in our own basement. 7. 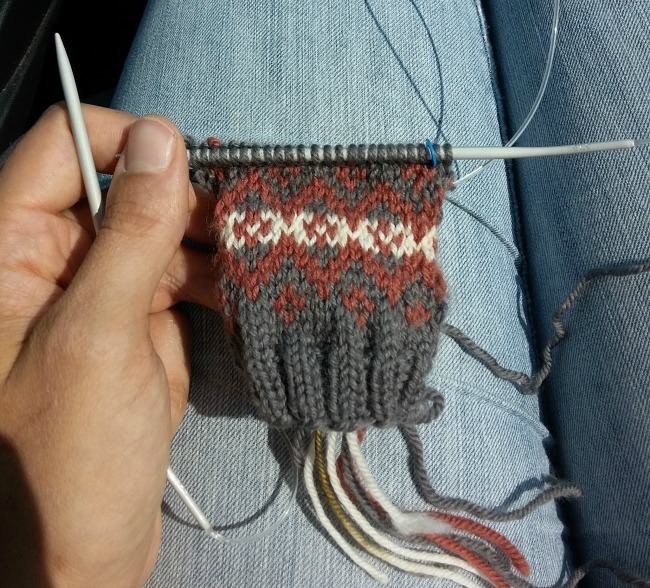 How to do fair isle knitting! This one is just a brag. I’m very proud to have added this skill to my repertoire. I can now do literally anything in knitting. 8. 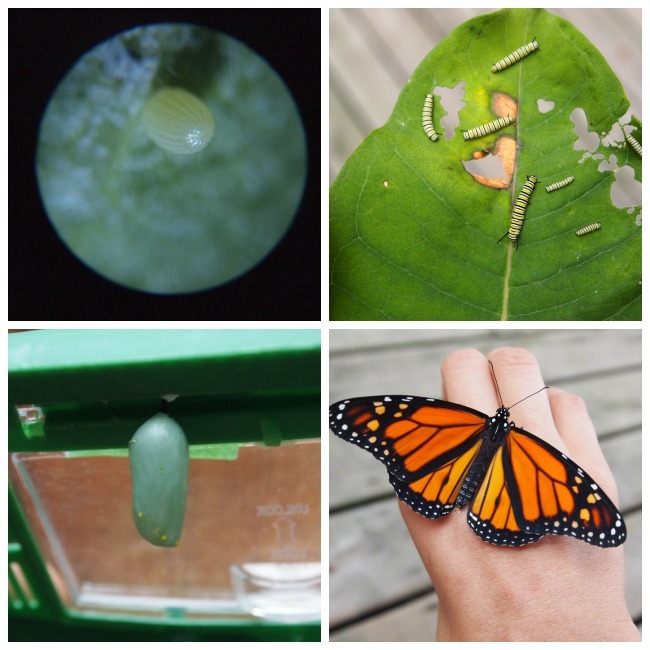 All about monarch butterflies. That’s probably more than you wanted to read! Thanks for sticking through it! What did you learn this season? How I hope and pray that you will have more restful times like in July! What on earth was different!? I hope if it was something tangible you can work it out! Your knitting, painting, baking, and general interesting-personness is really quite inspiring! I mean, Fair Isle knitting now? I love seeing pictures of you all doing outside stuff, outside of rooms and restrictions. I wish you well. Thank you so much, Coriander! Sometimes I’m amazed this is the same life as the year we spent in isolation. I was drawn to your post by the picture of the monarch because I just had the absolute joy of introducing Monarchs to my grandboy. Such a glorious way of seeing nature up close! He named his caterpillar “Leafy” and is now awaiting the grand unveiling! The names kids come up with for their caterpillars are hilarious. It really is a glorious experience! Yes, it pains me to think of all the hours and days and months of lost productivity due to my child-induced sleep deprivation. It is amazing what a difference it makes. Ooh, I wasn’t aware of sand’s use as a therapy. I’ll have to look it up! Sleep is the best, and not having it is the worst. There is a reason sleep deprivation is used as torture. There are basically four years of my life that I can’t really remember when the boys were not sleeping through the night. I am so sorry you’re still dealing with this, and will keep Felix’s sleep schedule in my prayers! I want one of those Snoezelen rooms. I took my 3 yo to the audiologist last month, and I’ve decided I want one of those soundproof boxes where they test your hearing stocked with the lead aprons they put on you for dental x-rays and I just want to go hide in there every day when the world is too much. So, you know, like all the time. Speaking of sand, we were at a children’s museum yesterday, and they had this sand table set up with a sensor and projector overhead so that it projected an elevation map on the sand that adjusted as you rearranged the sand. And when you hold your hand still for a moment casting a shadow, then it “rains” and you can watch the water watershed down your landscape. It was magical. I mean I guess you could do the same thing in a sandbox with actual water but it was very soothing. Thanks for your empathy, Katie! And yes, those soundproof rooms are so soothing! That children’s museum sounds AMAZING. Every once in a while I regret that we don’t live near a big city with things like that. The difference that sleeps makes for me is also astounding. I really need to make it more of a priority. I really hope that Felix starts sleeping at night for you again! I’m so sorry that this has been such a struggle for so long. That Snoezelen room looks incredible. I wish that I had one. Especially right now, because I’m feeling particularly frazzled at the moment. I could use a dark room with beautiful soothing lights and sounds and a bubble tube. 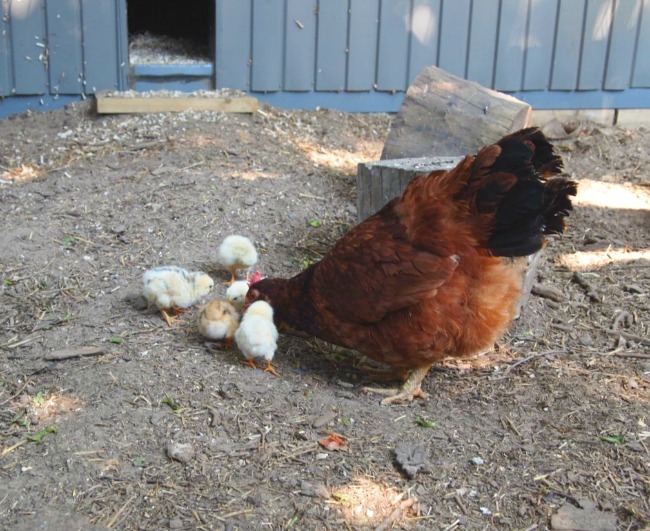 Question about the chicks – when they’ve been hatched under a broody hen, can they just stay with the mother? I see so many folks who keep chicks inside in cardboard boxes with warming lamps. I’m assuming this is to let them grow until they are big enough to hold their own in the bigger flock? But a broody hen mama will protect her chicks from the rest of the flock? I know very little about chickens; I’ve just started to research keeping chickens, as we want to add them to our home. This was a fun post. I like it a lot. Kind of like your “what I’ve been into” posts, but seasonal and about what you’re learning. It’s a nice reminder that we’re ALWAYS learning new things, even if we’re not in school anymore. Rachel recently posted..So how the heck will I do this? Hi Rachel! Yes, the chicks just stayed with their mother who protects them from other members of the flock. When you see chicks in cardboard boxes, I think it’s usually because they’ve been hatched in an incubator, so they don’t have a mother to protect them! And thank you! I have fun writing these posts! I like it for the same reason — as a reminder to myself that I’m always learning. I still like the “What I’m Into” format, but it’s hard to stay on top of all the books! Congrats on the cute baby chicks! I would love to try that someday with my hens (although fortunately for the moment, none of them have become broody). I also loved the previous post about raising the Monarchs. Also, the Snoezelen Room looks pretty amazing— I want to try one! Thanks for sharing what you learned and the cool projects you’ve been trying out.